Simon in the UK has sent us photos of his car he bought a year ago. 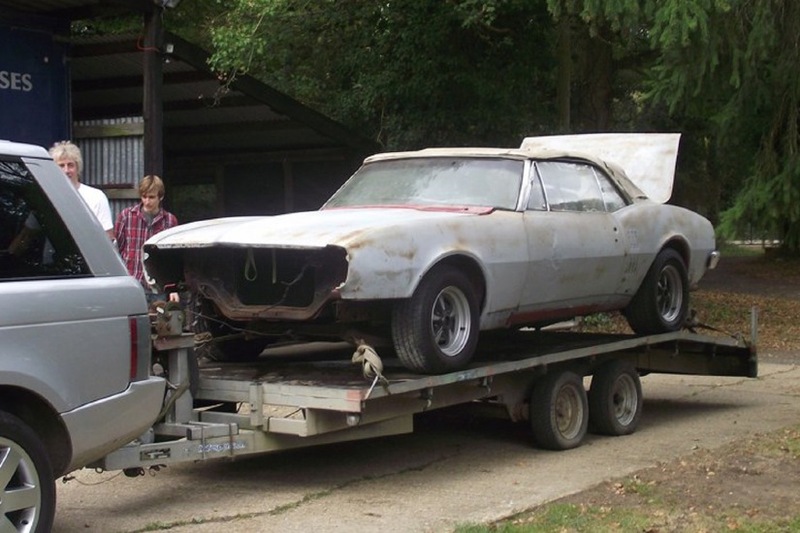 It was first registered in the UK in 1967, this Pontiac Firebird is automatic with power steering and a power hood and has had exhaust headers fitted and a four barrel carburettor. In same way that Ken and his team convert Mustangs from LHD to RHD, this Firebird has had the Ruddspeed treatment. The steering column was cut and flanged on the left hand side, the top of the steering column fitted to the right and connected between the two with a flanged tube and within that are 90 degree gears.